On Neopets, almost everyone wants to improve their account. 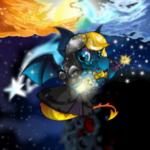 The specific ways in which people want to improve may vary: more neopoints, more trophies, painted pets, higher game scores -- the possibilities are endless. Many Neopians have set personal goals for themselves, but how do they go about achieving their goals? One of the most successful ways of achieving goals is not about actually achieving them. It's about setting the right goals to help you achieve your purpose. When you're setting goals, you should make sure your goals are SMART: Specific, Measurable, Attainable, Relevant, and Time-bound. Setting SMART goals can help you be motivated enough to successfully improve your account. Through this guide, you'll learn about SMART goals and how you can set your own! The first attribute of a SMART goal is that the goal should be specific. A general goal such as "improve my account" is an admirable one, but it doesn't provide you with any guidance or direction on how to improve your account. Drill down on what this concept means to you and break it into smaller pieces. Do you admire accounts with an impressive gallery or with lots of avatars? Would you rather have stamps or NeoDeck cards? What is important to you in your account? By deciding specifically what you mean, you can create a goal that is not vague but instead is crystal clear. A measurable goal is a goal that provides some way to measure it. Measurable goals allow you to know when your goal is achieved, as well as provide you with a way to measure your progress. "Customize my pets" is an admirable goal, but how do you measure your progress? Similarly, "earn more avatars" is a great goal, but how do you know when you've achieved it? You might succeed more with a goal like "Earn 250 avatars" or "Customize my pets with 5 wearable items." By putting numbers into your goals, you can know exactly how close you are to achieving your goal, and feel more motivated to work toward it because you'll know exactly when it's been achieved. Attainable means the goal is actually possible to achieve. A goal such as "Own 4 unconverted pets" might not be possible, especially for someone with a young account who might not be able to trade for their desired pets. The attainability of each goal will vary by person. Some people will find earning 10 new trophies an attainable goal, while others might be daunted at the idea of earning 1 new trophy. You have to choose goals that are possible for you. Attainable goals can help you stay motivated to work on your goals because they will always feel within reach. Imagine working on an impossible goal. How could you ever feel motivated to make progress toward something that you know you'll never achieve? On the other hand, you also want to make your goal somewhat difficult for you to achieve. If you continuously set easy goals for yourself, achieving a goal will provide such a small sense of accomplishment that you may lose interest in working on your goals. The best goals are the ones that are just a little more difficult than your normal activity. If you are working toward a challenging but not insurmountable goal, you know it's possible to achieve it but you just need to put in a little extra effort. Knowing the goal is attainable can help you find the motivation to exert that effort! To further increase your motivation, you should choose goals that are relevant, that is, they matter. Goals should indicate why they are important. For example, "Talk to my petpet 15 times" is a specific, measurable, and attainable goal, but it's not relevant because talking to your petpet doesn't do anything (besides provide some small amount of entertainment). On Neopets, most goals you can come up with will matter to someone, so you need to choose goals that are relevant for you. If you couldn't care less about avatars, a goal about earning more avatars will not be relevant for you and won't help motivate you to work on your account. However, if you love trophies, a goal about earning more trophies will be very interesting and relevant for you. Finally, your goals should be time-bound, which means they have some time limit on them. A time limit helps you be even more motivated to complete them. Consider if you want to earn more NP and so have a goal such as "Restock one unbuyable item." This goal is specific, measurable, attainable, and relevant, but without a time restriction, you may not have motivation to spend the time refreshing at a shop and actually attempting to achieve the goal. However, if you add a target date, you'll find more motivation to work on the goal as the deadline approaches. "Restock one unbuyable item this week" is now a time-bound goal that provides greater incentive for attempting to achieve it. Keep in mind that adding the time limit should not make the goal unattainable. "Earn 100 million Neopoints today" is quite a lofty goal, and most Neopians would find it unattainable. However, "Earn 100 million Neopoints in five years" or "Earn 100k Neopoints today" might be more attainable. Also, time limits tend to be more effective when they are shorter. Planning to complete a goal in five years makes it hard to motivate yourself to work on it today, especially compared to planning to complete a goal this week. If you choose to have long-term goals, break them into smaller goals that are more immediate and yet will help you move toward achieving the long-term goal. Earn 250,000 NP this month. Earn 1,000,000 NP this year. Earn 1 new trophy on the 1st of next month. Train my pet two times every day for a week. Write a new Neopian Times article submission each month until I have 10 publications. Attempt a game avatar 25 times this month. Notice how each of these goals are specific, measurable, attainable, relevant, and time-bound. Each of these will help the person achieve an overarching goal: gain more NP, earn more trophies, improve a pet's stats, or earn an avatar. All of them will help a person get closer to the ultimate goal: having a better account! You can have sub-goals, that is, goals that help you work toward a larger, long-term goal. One example of a larger goal is to collect all the stamps on one page of your stamp album this year, but you can break that down into smaller goals such as "Purchase two new stamps each month." Or, you could have a large goal like "Finish my gallery in 3 months," and a sub-goal could be "Earn 350k NP this month to invest in my gallery." You should always evaluate and re-evaluate your goals. If you notice you're achieving your goals very quickly, you should consider setting harder goals for yourself. Achieving a goal every day likely won't provide much satisfaction and thus won't provide much motivation for you to work toward your goals. If, on the other hand, you notice you are not achieving goals as often as you'd like, consider setting easier or more realistic goals. If your goals aren't motivating you to work toward improving your account, adjust them. These goals are just for you, so you should have goals that are helping you achieve what you want to achieve. Once you achieve your goal, set new ones! There's always more you can do to improve your account, and setting new goals can help you continue to stay on track for making your account the best it can be. Improving your account is an admirable goal, but it's an unachievable one. It's not specific, measurable, or time-bound. By developing goals for yourself that are specific, measurable, attainable, relevant, and time-bound, you can be sufficiently motivated to work toward improving your account - thanks to SMART goals! "One Golden Juppie Delight, comin' up!" The Meerca began puttering about, once again humming as she worked. Why couldn't they just leave me alone?